A while back, my friend Lori asked if I would help her with a bread question. 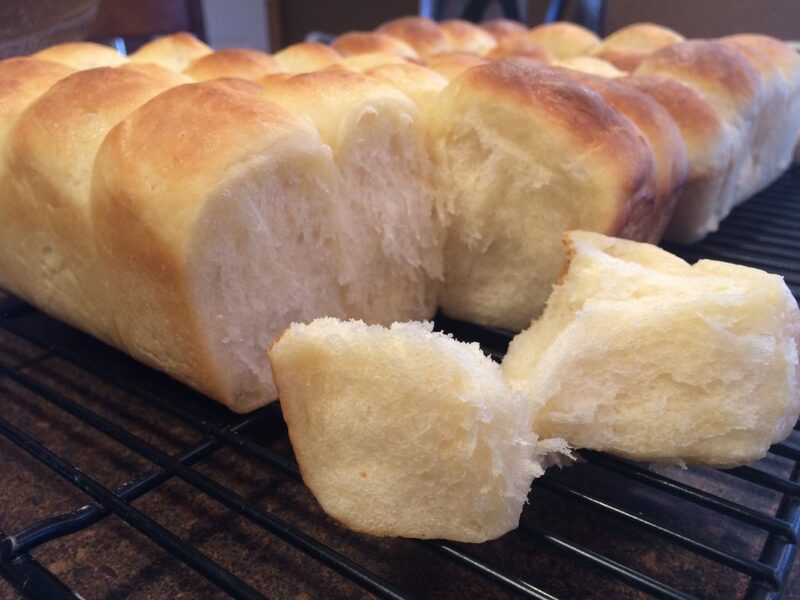 She has a recipe for icebox rolls that her grandmother Grace used to make – but she and her sisters haven’t been able to produce the same results that Grace did. Lori was wondering if I would experiment with the technique and help rediscover the lost flavor from her youth. Spoiler alert: I wasn’t successful in capturing that lost flavor. Having never tasted Grace’s icebox rolls myself, there was no way for me to know what I was trying to recreate. I may also just be a bad forensic foodie. Here then is my quest for the philosopher’s stone of icebox rolls. Dissolve yeast in lukewarm water. 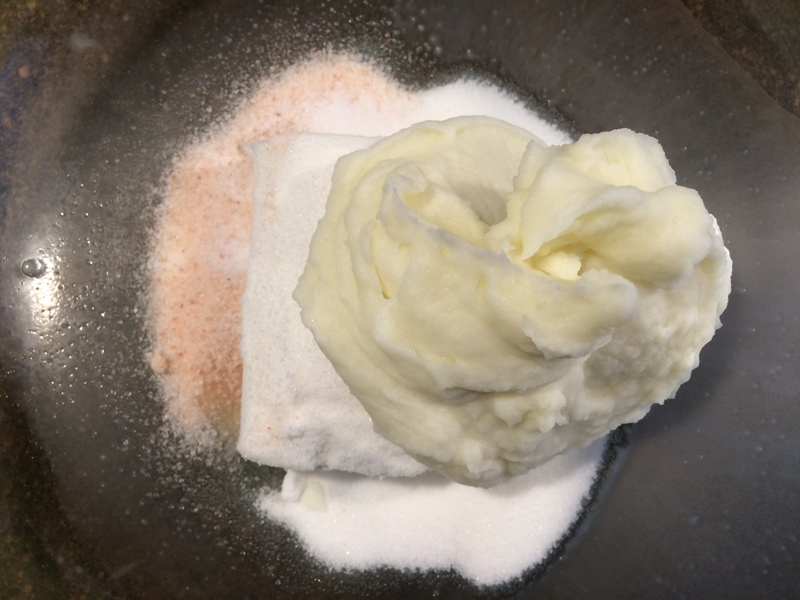 (I put sugar, shortening, and salt in big bowl, add mashed potatoes and scalded milk – it melts shortening and dissolves sugar and salt. You can do it by adding stuff after cooled, but I like the dissolved shortening.) When cool, add yeast. Mix thoroughly. Add eggs. Stir in enough flour to make stiff dough. (I add enough to make a sponge and beat well. Then add rest of flour.) Turn on slightly floured board and knead well. 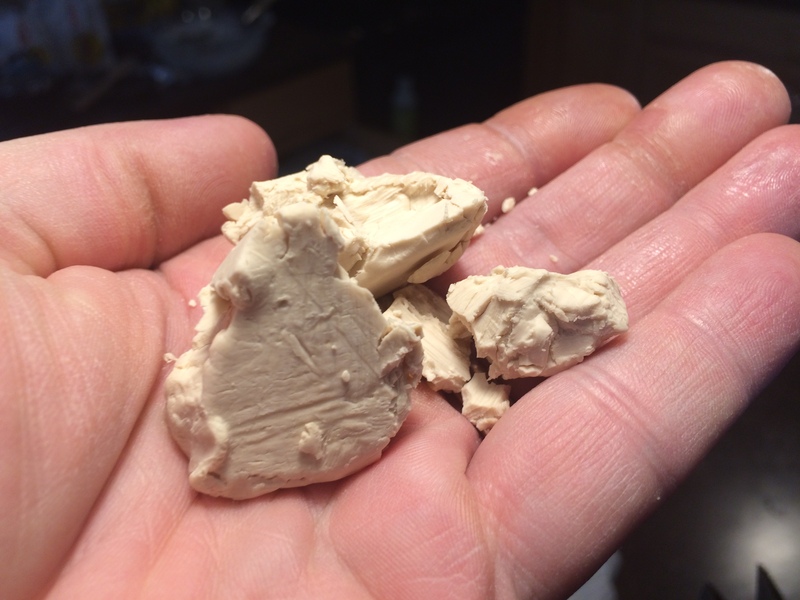 (I have it very soft and use a mild floured board and knead in my hands as soon as I can.) Put into a well-greased bowl large enough to allow for slight raising. Cover tightly. Place in refrigerator at least 2 hours before rising. It will keep about 1 week. 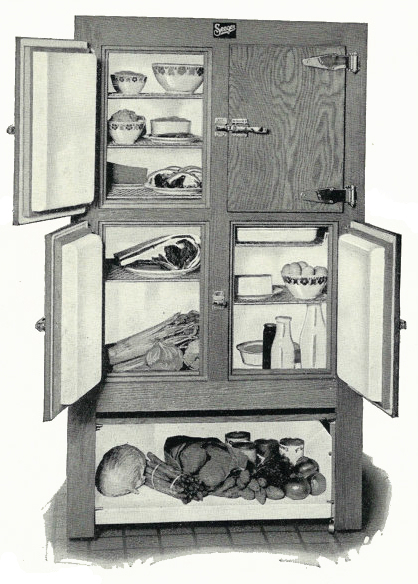 Note: That is a picture of an icebox. What the hell is a yeast cake? I was stymied at the first ingredient. What is a “cake” of yeast? 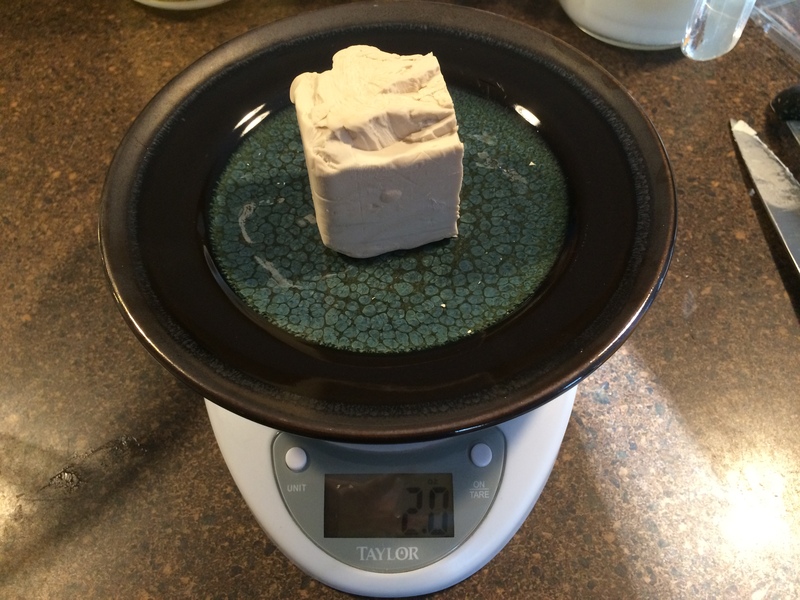 I have used active dry yeast since I started baking. It comes as little dried granules of yeast either in packets or little jars. I had never seen it sold in cakes – didn’t even know where to start looking. I tried local stores (Hannaford, Price Chopper, Fresh Market) but to no avail. 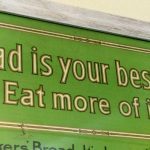 On a lark, I called our fine local Saratoga bakery The Bread Basket to see if they had insight. They did – and they also had some cake yeast. Score! The folks at The Bread Basket told me to come on down and they’d give me enough for the recipe. I really appreciate their kindness – bakers are a fine bunch of people, and the Tallman family are proof. 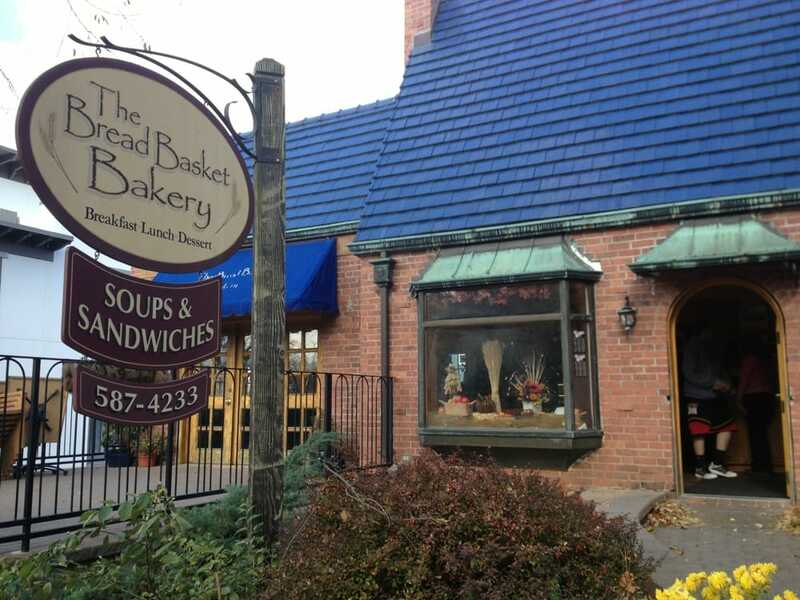 Next time you’re in town, you owe it to yourself to visit The Bread Basket Bakery in Saratoga Springs, NY. Recipes within Recipes… what madness! 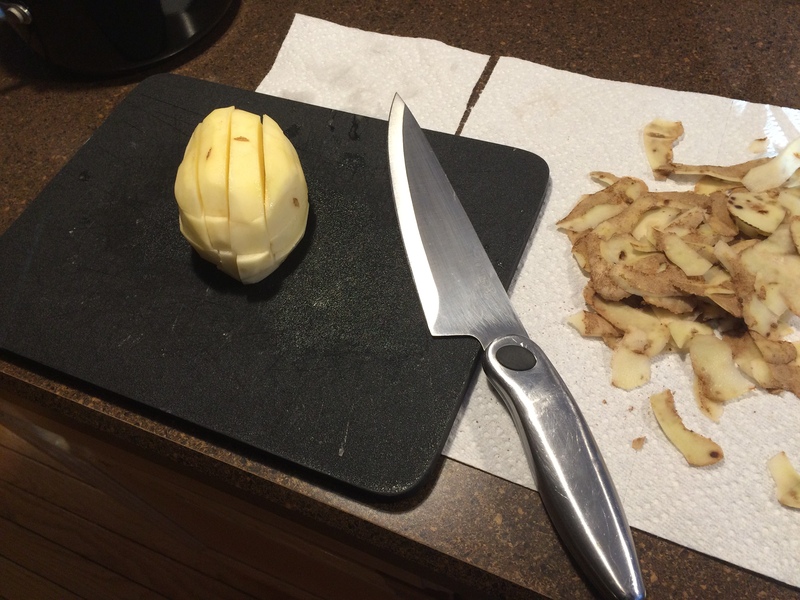 Peel three large russet potatoes (the kind you’d use for baked potatoes) and cut them into chunks. Toss them in a medium saucepan, cover them with water, and add a half teaspoon of salt. When the water starts to boil, cover the pan, turn the heat down to medium, and set your timer for 12 minutes. Clean your kitchen while you wait. Put a large measuring cup under a strainer in your sink. Strain the potatoes, making sure to catch the potato water in the cup – there is precious magic in potato water that will make the icebox rolls awesomer (that’s an intentional “r” – we’re talking better than awesome). Put the potatoes back in the pan on the turned-off burner so they dry out a little bit. After the potatoes have cooled somewhat, whip them like there’s no tomorrow. Really let ’em have it. We’re talking fluffy like cartoon clouds. 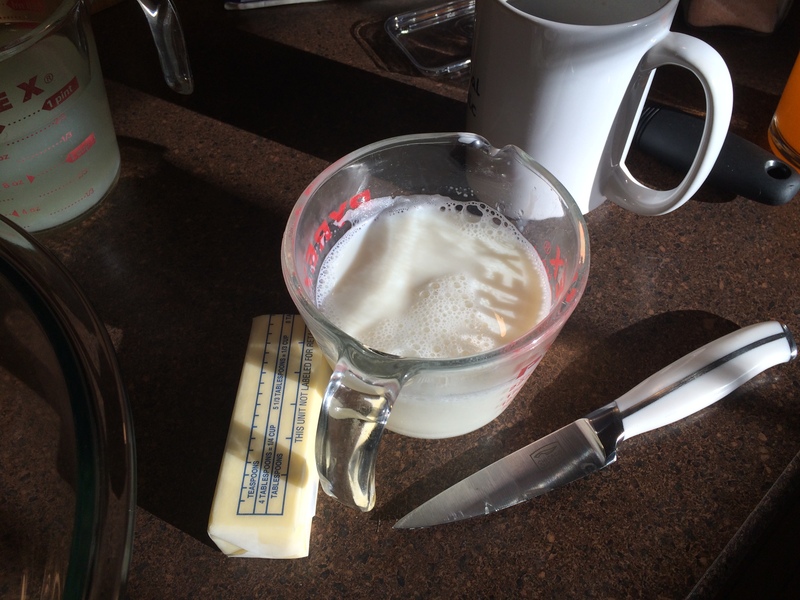 Then add the butter, milk, salt, and pepper and keep whipping them for a bit just because you can. Sacred potato water (you can tell it’s sacred… there’s stained glass windows in the background). Confession time. 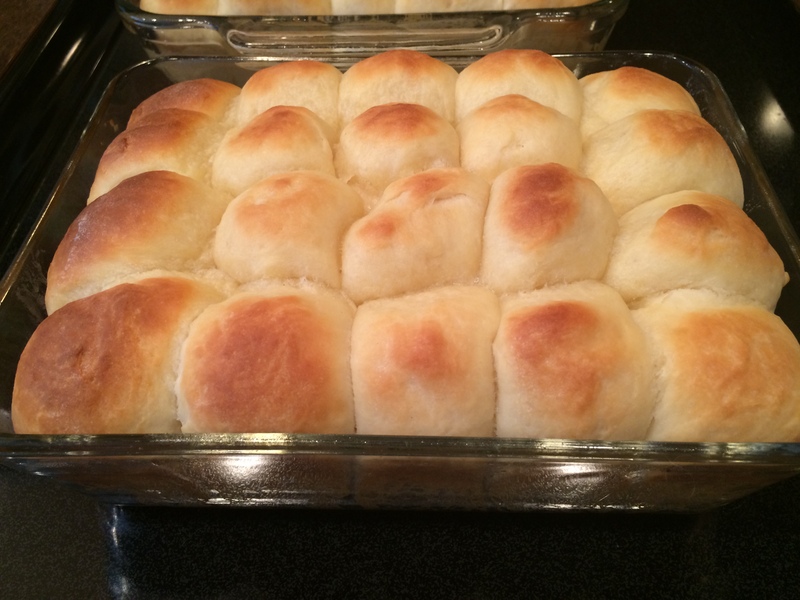 My first attempt at Grace’s Icebox Rolls was a yeasty mess. I thought I had measured the yeast cake correctly, but ended up putting in twice the amount of yeast I was supposed to. Hence the need for that conversion table a few tabs back. The recipe linked to in the “Recipe 2” sheet doesn’t have any attribution or provenance, but is practically identical to the recipe written down by Grace. Since the instructions are a little easier to parse in that recipe, I followed them for my second attempt at making icebox rolls (except that I still had fresh yeast left). 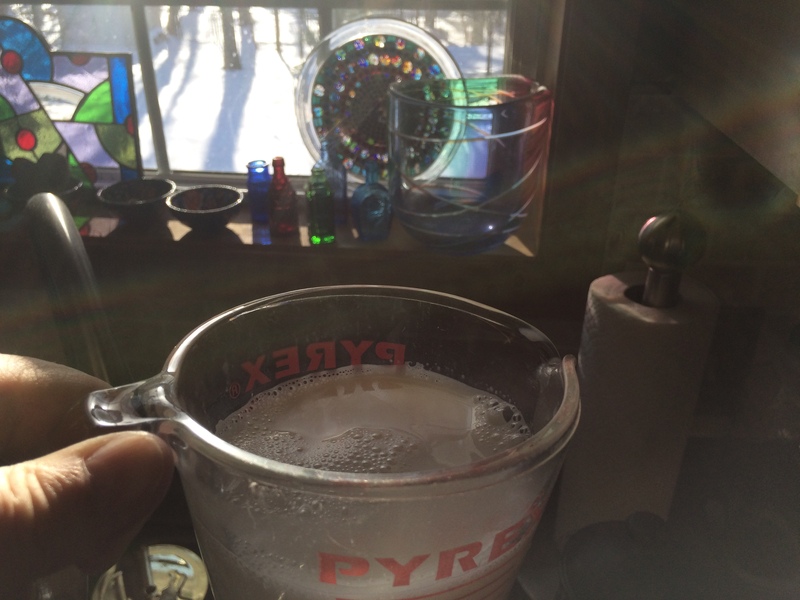 Dissolve yeast in lukewarm water. 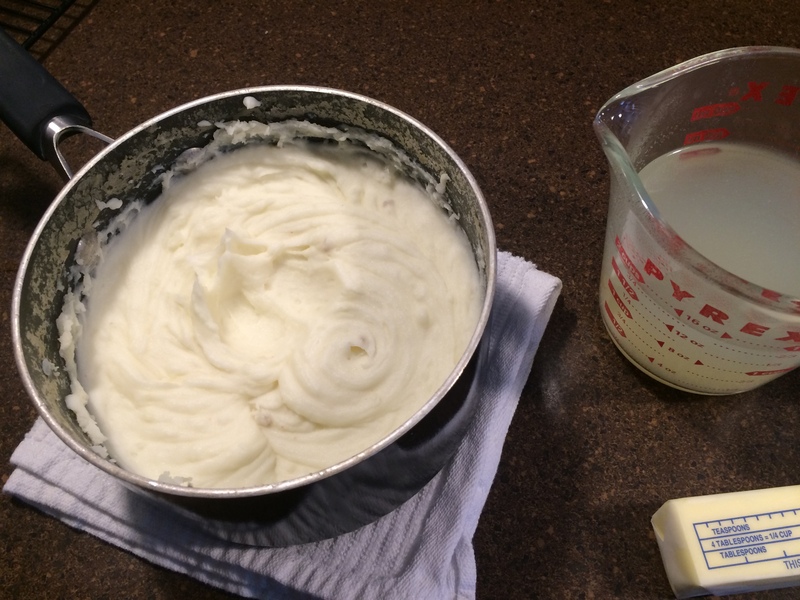 Scald milk and add shortening, sugar, salt and mashed potatoes. When cooled to lukewarm, add the dissolved yeast. 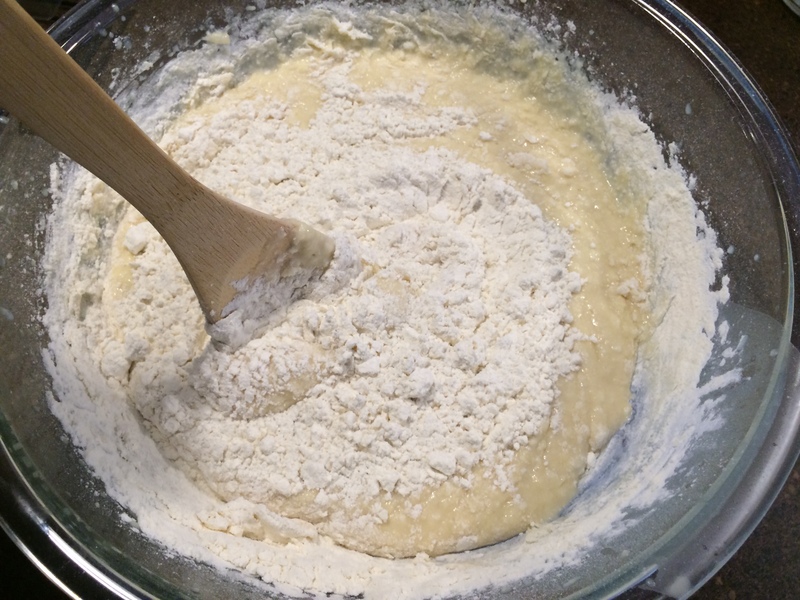 Mix thoroughly and add just enough flour to make a thin batter. Cover and set in a warm place until double in bulk. Add eggs and stir in enough flour to make a stiff dough (dough will leave sides of bowl when stirred). 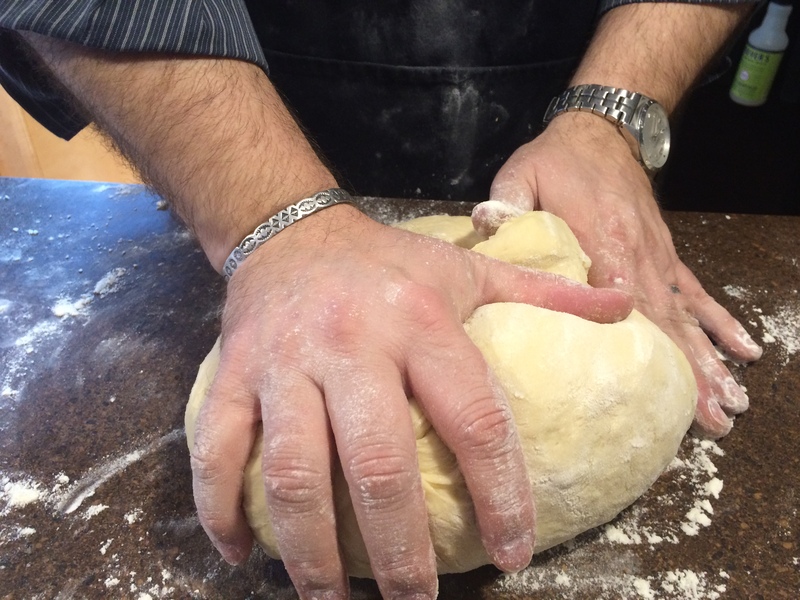 Turn out on a slightly floured board and knead thoroughly until smooth and pliable. Place in a greased bowl. Cover with a cloth and place in the refrigerator. 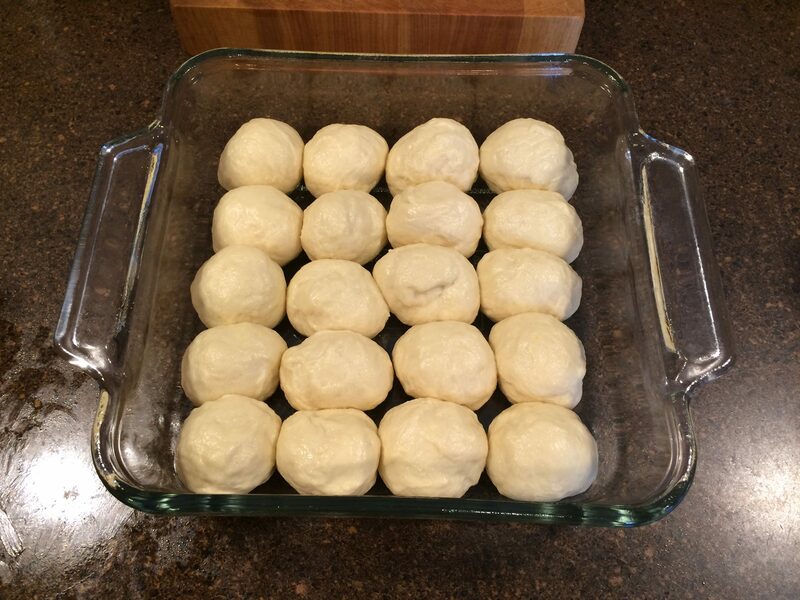 When ready to make rolls, pinch off dough, shape, place on greased baking sheet and let rise until doubled in bulk (from 1 ½ to 2 hours). Bake at 400 degrees F for 15 to 20 minutes. Dough may be placed in greased muffin tins. 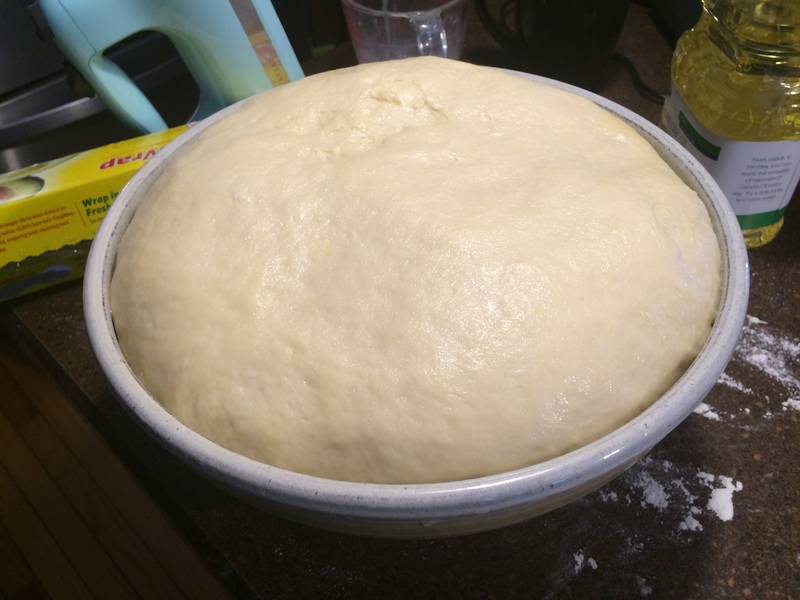 Grease rolls on top and allow to rise. In baking, just as they begin to brown, brush with butter. 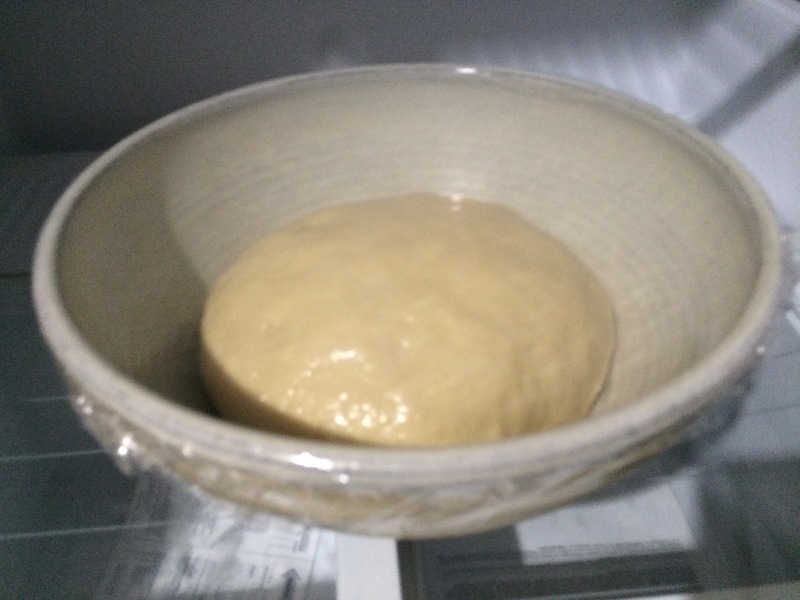 Dough will keep about 1 week in refrigerator. Special thanks to my friend Lori Aldrich for sharing her grandmother’s recipe with me. Why do Americans measure ingredients while most other cultures weigh them? American pioneers traveled across the country in wagons or on horseback. Scales were too heavy and bulky to carry. However, every pioneer had a drinking cup and spoon handy. If a small amount of an ingredient was used, the spoon scooped it. If a large amount was used, the cup scooped it.